Ford Mondeo Performance, Engine, Ride, Handling | What Car? Diesel may be getting a lot of bad press at the moment but, if you're in the market for a Mondeo, it still makes a lot of sense. We reckon the incredibly low CO2-emitting 1.5 TDCi is the pick; performance is adequate and this engine averaged a remarkable 53.7mpg in our real-world True MPG tests. If you don't do the miles to justify a diesel, there are three turbocharged petrol engines: a three-cylinder 1.0 with 123bhp, a 1.5 with 158bhp and a 2.0 with 236bhp. Of these, we'd recommend the punchy 1.5; the 1.0 is a bit sluggish and the 2.0 is too pricey and inefficient. Finally, there's a hybrid version that's only available in saloon (rather than hatchback) form. 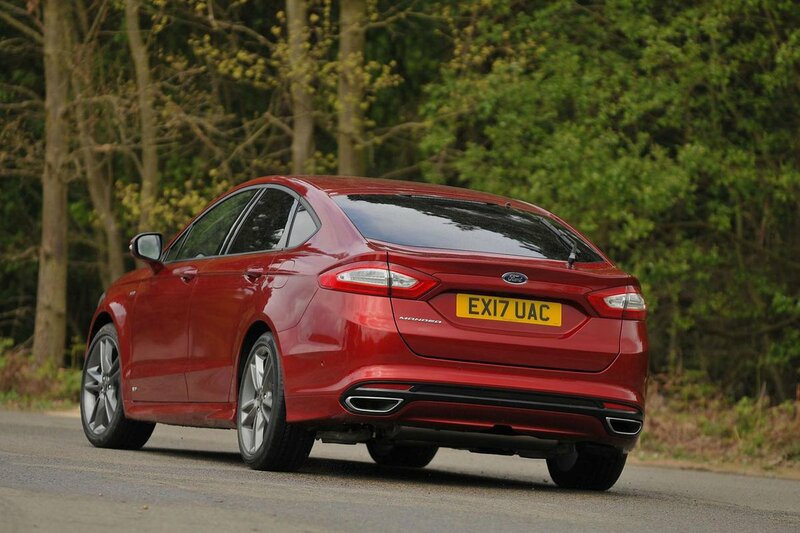 Despite its low CO2 emissions of 92g/km, this version of the Mondeo is best avoided because performance is mediocre and its petrol engine and electric motor struggle to work smoothly together. Unlike the Skoda Superb and more expensive executive rivals such as the Audi A4 and BMW 3 Series, the Mondeo isn’t offered with adaptive dampers. Instead, you get conventional suspension that does a good job regardless of the road surface – particularly if you opt for a version with smaller alloy wheels. The suspension soaks up big bumps and small ruts alike, leaving you well isolated from the road surface beneath. ST-Line models are equipped with sports suspension and chunky 19in wheels, so they don't ride nearly as well. Likewise, the range-topping Vignale model also rides on 19in wheels so isn't as comfortable as cheaper versions. 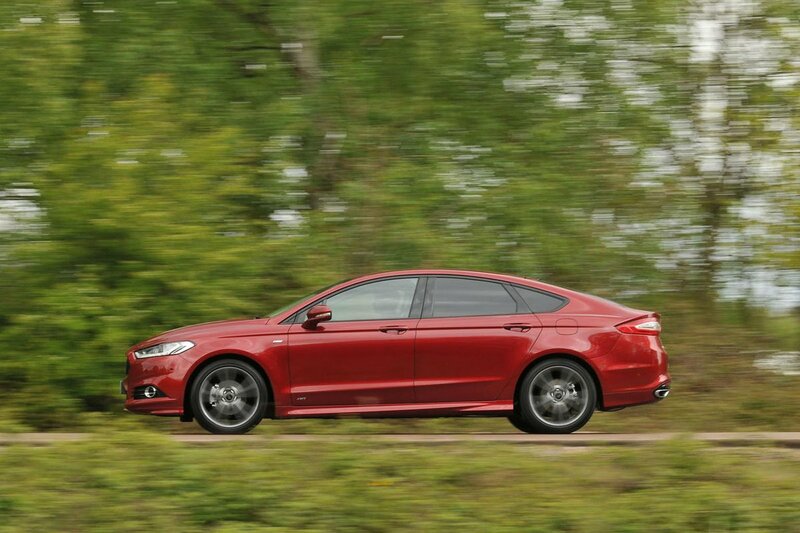 The Mondeo handles really well for such a big car; it feels agile, turning in to corners eagerly and staying planted and upright through tight twists and turns. 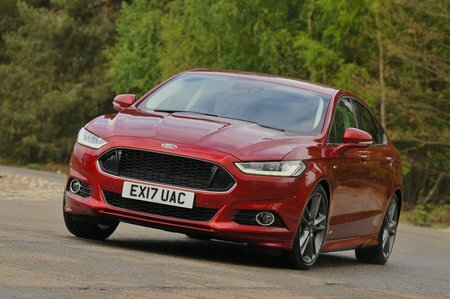 It also feels very stable at high speeds – a good thing given the high number of motorway miles that Mondeo drivers tend to rack up. It’s also worth noting that the Mondeo benefits from this wieldy handling without the aid of any pricey optional adaptive dampers, which the 3 Series and Volkswagen Passat both need to really shine. It’s just a shame that the steering, while precise in its responses, is a bit light at times and too keen to self-centre at others, so it doesn’t give you a great sense of how well the tyres are gripping the road.